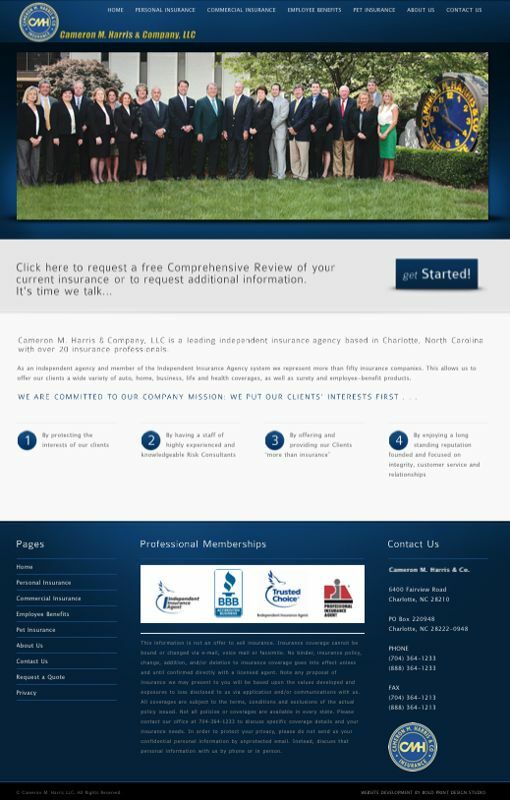 Professional Services, Cameron M. Harris & Co. 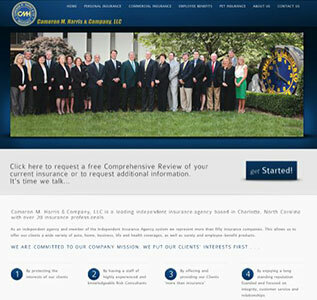 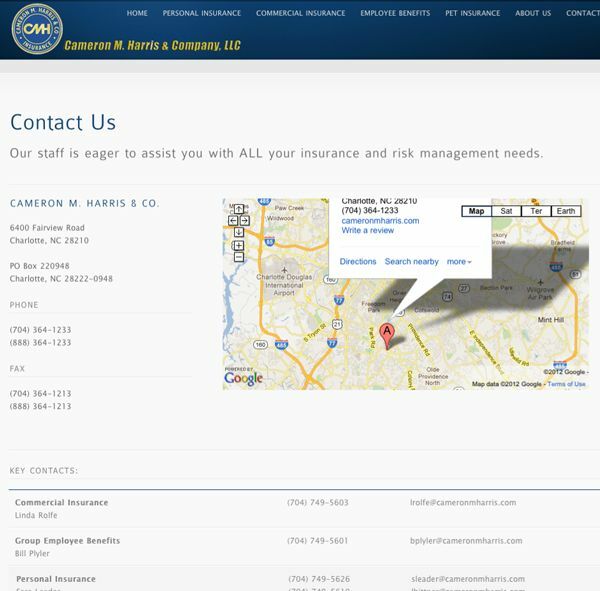 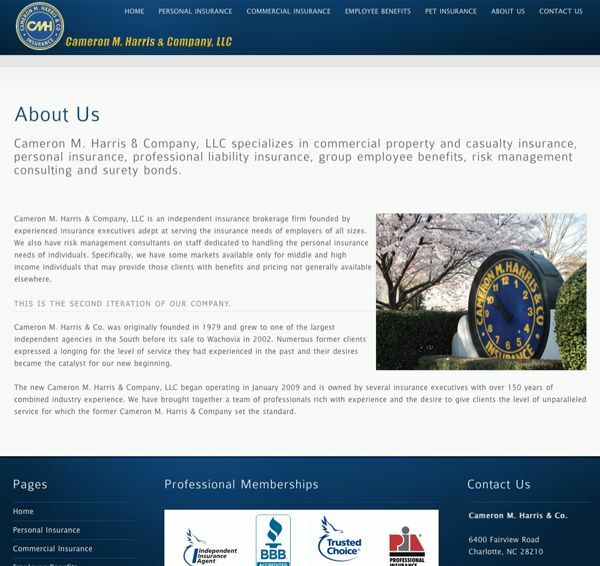 This content management website enables Cameron M. Harris & Co. to add new pages, insert images, or update their services. 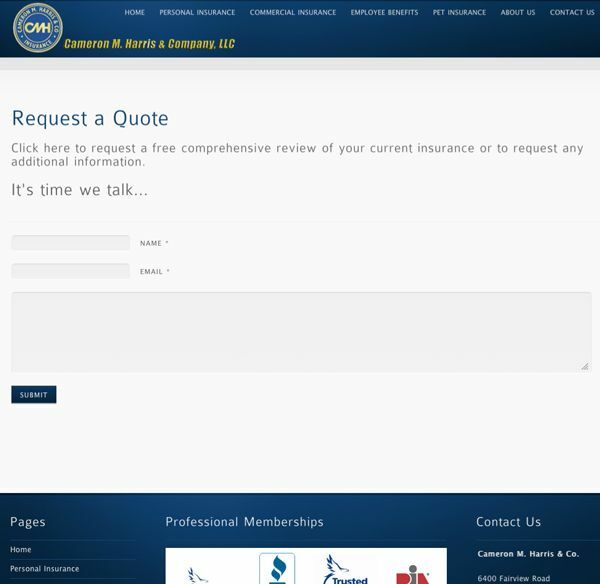 Its simple, clean design is perfect for the insurance industry or for business owners who wish to convey professionalism.